On its surface, the massive, decentralized ledger of information known as the blockchain is a wondrous innovation in information registry and distribution: At its centre is the concept of owning your digital identity under lock and key, and lending it out to services however and whenever you want – a new baseline that one imagines (and many have) could have a monumental impact on how businesses operate in the future. So why is it still best known as the platform for Bitcoin? One reason might be the literal energy expended on the platform, Scott Zoldi, chief analytics officer at Silicon Valley-based analytics software firm FICO, says. With blockchain still in its early stages, multiple components need to be assembled for the platform to reach its full potential, he says: Think of it as building a website in the ’90s. Squarespace and WordPress weren’t available yet, so someone operating even a text-based blog would have had to spend a lot of time and energy building the site line by line using HTML code. “There’s a lot of expense associated with blockchain. From a power-consumption, mining and environmental impact perspective,” Zoldi explains. And while blockchains don’t necessarily require miners – people with powerful computers ferociously crunching numbers to validate transactions on the blockchain – it’s become the most popular way of protecting the digital ledger from outside tampering and incentivizes people to participate in the network, especially when it produces rewards, such as bitcoin. Cryptocurrency mining equipment – lots of GPU cards on mainboard gain money. Getty Images. Yet there are tangible signs the platform could be moving beyond cryptocurrency sooner than later on the horizon. Some of them are even financial: Zoldi predicts that within a few years microloans will have their fingerprints all over the technology. One will be able to walk up to a vehicle with their smartphone, turn on a beacon, connect to a blockchain and instantaneously lease the vehicle. “That’s relatively difficult in today’s day and age with respect to having to go to a rental office, have some level of verification of who you are, get a loan and insurance. But in the future, the blockchain will provide a level of trust in terms of who I am, that I have an adequate loan and the ability to cover damages for the vehicle, but also establish trust in respect to the fact that the vehicle is available to lease and that it has a credible service history,” he says. At the end of the day, information about the initial lease, how the vehicle was used, where it went and how it performed, will be recorded on to the blockchain. These types of scenarios are exciting, Zoldi says, because they can quickly establish a level of credibility and trust that could pave the way for other businesses to follow suit. Or consider Toronto’s SecureKey Technologies, which is spearheading the application of blockchain to protect personal information against the ever-growing risks of data breaches, is already backed by Canada’s big five banks. Some of Canada’s most well-known players involved in blockchain technology were also behind an unsuccessful $50 million bid for the Liberal government’s $950 million Innovation Supercluster Initiative. Regardless of their ambitions, however, organizations planning to implement blockchain in transformative ways will have to develop extensive storage capabilities, not to mention an ecosystem made up of precise coordination and participation from miners. Not incidentally, these miners are scattered across the world, and are now often in the form of large companies purchasing and retrofitting hundreds of computers for the sole purpose of solving complex algorithms on the distributed ledger. Since some of the world’s largest markets like China and South Korea have banned the sale and issuance of cryptocurrencies, many miners are looking for a new home. Dozens of them have found one: Quebec. 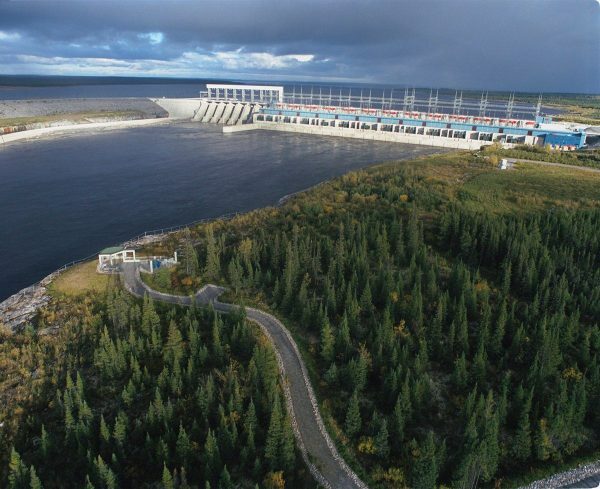 “There are new ones knocking on our doors every day,” Jonathan Cote, a spokesperson for Hydro Quebec told ITBusiness.ca, confirming that to date, 35 companies have expressed interest in connecting to the province’s power grid. While trying to attract the likes of Microsoft and Amazon to locate their data centres in the province, Hydro Quebec is also trying to lure the attention of cryptocurrency miners. Cote says they would charge them 3.94 cents per kilowatt-hour, one of the best deals for electricity in North America. Setting up shop in Quebec, which produces its power almost entirely through hydro, would also help miners curb cooling costs because of the climate. The energy requirements are undeniably massive: One of the biggest cryptocurrency miners expressing interest in Quebec wants to pull about 450 megawatts from the grid. In comparison, the Bell Centre (home of the Montreal Canadiens) requires five. “We’re talking about some very big players here, but we have the capacity,” Cote says. It’s even gained the attention of cryptocurrency miners from out west. “We are excited to see how supportive Quebec is of cryptocurrency mining, and this just further demonstrates how instrumental Canada is going to be as a cryptocurrency hot spot moving forward, especially with the uncertain future of Chinese cryptocurrency mining,” Patrick Gray, CEO of Vancouver-based HashChain Technology, told ITWC. Regulators in China have publicly courted an outright ban on crypto-currency activities several times. Because of its ability to produce clean hydropower, Quebec is an ideal place for cryptocurrency mining operations. Meanwhile, those hoping to see the blockchain transform digital payments are going to have to wait: Transactions through a credit card network are still proving to be much more efficient than similar transactions on a blockchain, Zoldi says. It may seem like an excellent foundation for many use cases, but blockchain’s energy costs and storage requirements, specifically for applications that require high levels of coordination and public uses, are immense, he says. That said, while they can argue over when exactly blockchain will see widespread use by large companies and the general population, Zoldi and many other experts agree that it’s going to happen. In addition to moving away from completely anonymous transactions, Zoldi says we’re likely to see AI models integrated into the blockchain process, essentially prioritizing which transactions should go through the chain, and which ones proceed through another, less intensive avenue that doesn’t require validation from miners. “If I’m going to get a mortgage on a house and I need the title, that’s deemed an important transaction worth mining. Other, smaller transactions are less important because monetary losses are less,” he says, adding not every transaction has to have an immutable history attached to it. Zoldi says similar AI models are already being used in financial institutions today. Combined with a strong thirst for experimentation – and the fact that it was Russian-Canadian Vitalik Buterin who introduced the world to his Ethereum blockchain in 2013 – Canada’s grassroots communities are also unafraid to experiment with new ways to use blockchain, says Lisa Cheng, founder of Vancouver-based blockchain company the Vanbex Group. But many organizations are quick to use token offerings, also known as initial coin offerings or ICOs – a global fundraising method similar to crowdfunding – to advertise and fund their blockchain projects before they even have a clear understanding of how they want to use the technology, she notes. ICOs allow people to buy into a company’s project and earn crypto tokens, which in theory could be used to access the company’s blockchain-powered services in the future. Companies often turn to ICOs when building on top of open-source blockchain elements – most frequently the Ethereum blockchain, Cheng says, which requires its miners to be paid in a specific currency for ongoing validation of transactions on their blockchain. Though Vanbex is selective in which companies it helps integrate blockchain technology, Cheng says many of them are forcing tokens into their business model even if it’s not a great fit. “There are companies all over Canada trying to jump on the cryptocurrency bandwagon without really doing much blockchain at all,” she says, adding that they often anticipate a bump in their stock prices. People should do their own research before putting money into an ICO, she says. Despite the fact that ICOs and bitcoin’s up-and-down performance on the market continually grab headlines in the media, effectively shrouding blockchain’s potential use cases and ability to change industries in a positive way, Cheng believes legitimate, widely used applications of the technology are only a year away. Canada will eventually exit the current wave of experimentation and thirst for quick money, she says, and regulations, a clearer understanding of the technology, and a large pool of local talent will accelerate blockchain’s use across the country. If one were to start a corporation using blockchain, Canada would certainly be a good place to do it, FICO’s Zoldi says, pointing to the country’s efficient energy sources.